Kodi is a free streaming platform for entertainment but you need a VPN service to access the geo-restricted content and access all kinds of Kodi addons. In this article, I am going to illustrate some free VPN services you might need to access all Kodi addons. Kodi may be a free and open source streaming software that has transformed our home entertainment, but we sometimes have to use a VPN. A VPN comes in handy when you need to access geo-restricted content that is not available in your area. A good example of this is when you want to stream from iPlayer, but you are not in the UK. Since both Kodi and iPlayer are free, you may also be reluctant to pay for a VPN, and so opt for a free VPN for Kodi. Security and privacy – Free VPN services may offer strong security but be shady on privacy or vice versa. It’s mostly privacy that gets affected as free VPN services may keep all your activity logs. They also lack advanced security mechanisms such as DNS leak and IP protection which are essential for privacy and security. Bandwidth and data cap – Almost every free VPN service provider has a restriction on bandwidth or a data cap on the internet traffic. The most common data cap is at 500mb which is not good at all especially for streaming services such as Kodi. Number of servers and speed – This is the major limitation for free VPN service providers. They have fewer servers which are not globally distributed and hence you won’t get lucky when accessing services from some regions which are not supported. 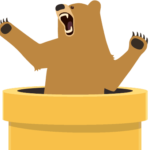 Due to a limited number of servers, you may also experience slow speeds as a result of server congestion. Marketing features – If a free VPN service provider doesn’t have the above limitations, then brace yourself because several ads are about to hit you. Ads can be annoying, intrusive and even lead to privacy violations – especially through target specific ads. Before subscribing a free VPN, I suggest scroll to the Premium VPNs section, we have some links with promo codes there making these premium VPNs very cheap options. Windscribe is among the best free VPN service providers for Kodi. 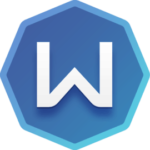 Unlike other VPNs, the data cap for Windscribe is at 10GB per month. As there’s no throttling and with amazing speeds of up to 30Mbit/s, Windscribe VPN offers the best streaming experience on Kodi as you can watch HD videos. Windscribe also ensures your security and privacy is intact as it uses strong encryptions and has a zero logs policy. You also get unlimited simultaneous connections on the free account. The only downside of Windscribe VPN free service is the limited number of servers you get; only 11 servers are offered on the free account. If you hate the 500mb data cap, but you are okay with other restrictive limitations, then Hide me VPN is your best bet. The free VPN service gives you a bandwidth of 3Mbit/s which is somehow suitable for streaming and a 2GB data cap per month. Hide me also has a good reputation for security and doesn’t keep any logs which are great on privacy. The major limitation is that you get access to only 3 server locations, Canada, Netherlands, and Singapore. IPVanish it’s one of the best VPN services for a reason; fast speeds, private connections, and online freedom – the perfect starter pack for a smooth Kodi streaming experience. IPVanish also offers unlimited bandwidth coupled with unlimited server switching on its wide array of more than 1000 servers. It uses the 256-bit AES for security, and it keeps zero logs which ensures your security and privacy is intact. You also get a simultaneous connection of up to 10 devices. Although a bit pricey without our exclusive discount, ExpressVPN delivers blazing fast speeds via its 2000 plus globally placed servers. With unlimited bandwidth and no throttling, you won’t know what buffering is when streaming in Kodi. ExpressVPN also takes security matters seriously. Hence it offers the best-in-class 256-bit AES encryption with other features such as a kill switch and DNS/IPv6 leak protection. Your privacy is also a priority from this British Virgin Island-based VPN where there are no data retention laws. Also, it doesn’t keep connection nor activity logs. NordVPN has all the aspects every Kodi user needs for the best streaming experience. With cutting-edge technology, NordVPN delivers utmost security via military grade encryptions, double encryptions and other features such as Cybersec. It has a strict no logs policy, leak protection and a kill switch for ultimate privacy. 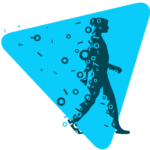 It offers unlimited bandwidth and fast VPN speeds on its 4400 plus globally dispersed servers. As the old adage goes, if you do not pay for the product, then you are the product. Free VPN services for Kodi may seem heaven-sent, but they may end up costing you more than just a few bucks you would have paid for a premium VPN service. Remember that these so-called free VPNs still need to make a profit, and a majority do so by selling your data to third-parties and advertisers. Worse still, they could sell the data to governments, which could land you in trouble. But if you really need a free VPN for Kodi, then the list above should work for you. You can test them all since they are free. Otherwise, you can also take advantage of the money-back guarantee offered by premium VPN services. 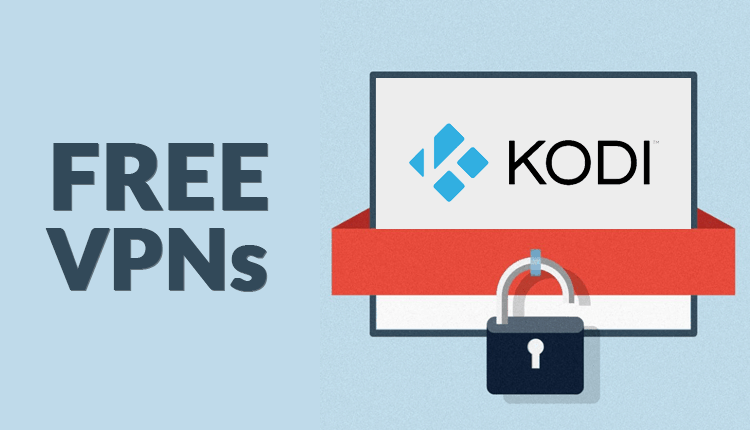 The three premium VPN services for Kodi we’ve mentioned above have a 30-day money back guarantee, and you can always ask for your money back before that period expires!